After selling 4 million iPhone 4S units on launch weekend, we knew we would see outstanding sales numbers in the near future. Apple has now hit the mark with selling 16 iPhones per second or approximately 1,000 per minute. 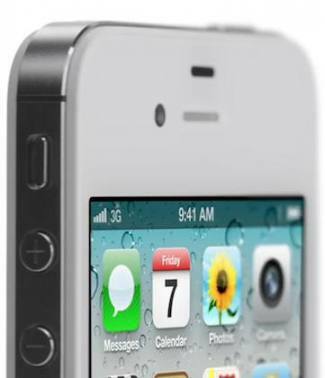 With those kind of numbers, the iPhone 4S is on its way to becoming the fastest selling gadget in history! Shawn Blanc made some calculations this morning to get the reported results. The iPhone 4S can be the fastest selling gadget every by passing the fastest selling consumer device of all time, which happens to be Microsoft’s Kinect for the Xbox 360, which sold 8 million in the first 60 days. If the iPhone 4S keeps these numbers up, the iPhone 4S will easily pass the Kinect in a much shorter time span. Another factor to keep in mind is that next week, Apple is scheduled to launch the iPhone 4S in 22 new countries. The iPhone 4S sold this many units while only being sold in 7 countries. Siri introduced Siri for the first time and that was one of the factors in driving sales to the new iPhone 4S. Another thing that drove iPhone 4S sales was the fact of it being a world phone on AT&T, Verizon, and Sprint, more networks means more sales.